What will a new WordPress theme do for you? This year’s collection has a wide range of themes from stylish photography, to effective e-commerce, and even hip, modern blogging. The promotion will run for seven days so you’ve got plenty of time to make your purchase. 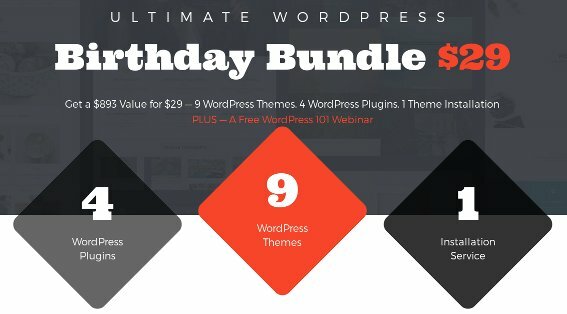 You can get your hands on $890 worth of WordPress products for only $29. Small business owners and entrepreneurs. Don’t miss out on this limited time offer!